That's a lot of gold, and a lot of lead. 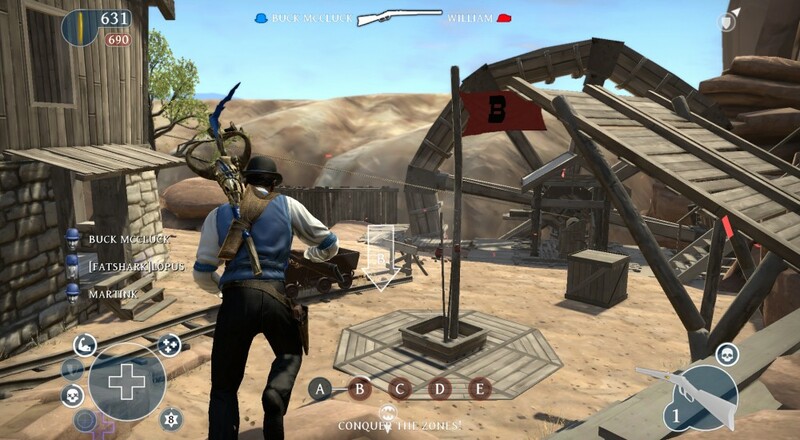 Back in 2010, developer Fatshark released an old west themed third person shooter called Lead and Gold: Gangs of the Wild West. It was met with plenty of nodding heads, but as the wheels of time turned the game was all but forgotten. Now, Fatshark has decided to spice the summer up by doing the digital equivalent of throwing a pile of money in the air and watching it rain. 100,000 free copies of Lead and Gold are up for grabs! Before you scrunch your nose up and say something like "But isn't Lead and Gold a competitive shooter? ", we'll point out there is a simple co-op mode in the game. Gold Fever pits a team of up to 6 players against endless waves of AI enemies as you try and score as many bags of gold as possible. When your team dies, it's game over. It's not much in the way of cooperation, but hey, it's a free wild west game that feels a bit like Team Fortress 2, so who's gonna complain? Lead and Gold was Fatshark's very first release. Since then the team has pumped out several other titles, including Krater, Escape Dead Island, and the most recent, Warhammer: End Times - Vermintide. The 100,000 PC game giveaway was conjured up as a "just because" idea that originated deep in the bowels of the studio's marketing department. Is there a secret announcement coming in the near future? Who knows. In the meantime, we're going to enjoy six player online Gold Fever and not ask any more questions. To grab your free copy of Lead and Gold, head over to Fatshark's site, fill out your info, then wait for the key to arrive. And be quick about it!